The Swedish punk rock crew called Our Untold Story have released their latest official video, “Calm Seas Don’t Make Good Sailors.” Like the rest of the OUS catalog, the video has been proudly published on the Cuprite Productions independent record label without the involvement of the corporate music industry. 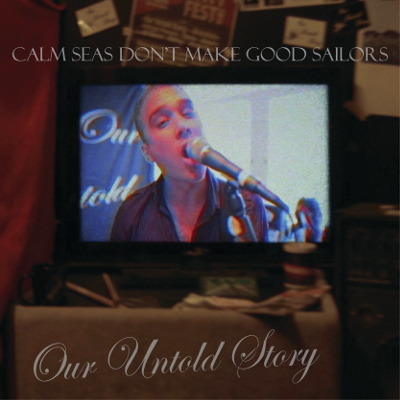 Driving, upbeat, minimalist and thrumming with energy, “Calm Seas Don’t Make Good Sailors” is the most significant official video from Our Untold Story to date. Our Untold Story’s Xander Turian has cited as main artistic influences such legends as Iggy & the Stooges, the Hives, Green Day, and Blink 182, all of which groups boast similarities with Stockholm’s Our Untold Story. Turian has also mentioned a deep love for bands like the Rolling Stones, Dire Straits, the Doors and the Beatles, however, and this classic rock vein tempers OUS’s minimalist, pop-punk sound into something that is palatable to a surprisingly broad audience across cultures and ages. In fact, this seemingly natural knack for rocking across boundaries is a central theme of their new “Calm Seas…” video. It speaks to everyone, woman and man, young and old alike. 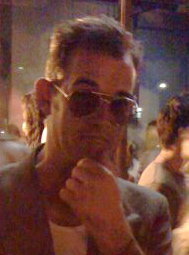 The video directed by Johannes S. Karpe portrays Xander Turian as an archetype of humanity growing up with rock ‘n’ roll music from toddler to family man. His youth is played by his real-life siblings, with a cameo of his actual father playing Turian at middle age with children of his own. The kids are all played by my younger siblings and the adult “future” me is played by my father. “Calm Seas Don’t Make Good Sailors” is the accompanying B-side to last year’s “Go for Broke,” which was also released by Our Untold Story with an official music video. Both are expected to feature on the upcoming Our Untold Story album, “My Dreams, My Rules,” which is rumored to have a 2018 drop date. The “Calm Seas Don’t Make Good Sailors” official video by Our Untold Story is available online worldwide for viewing now. Get in early.